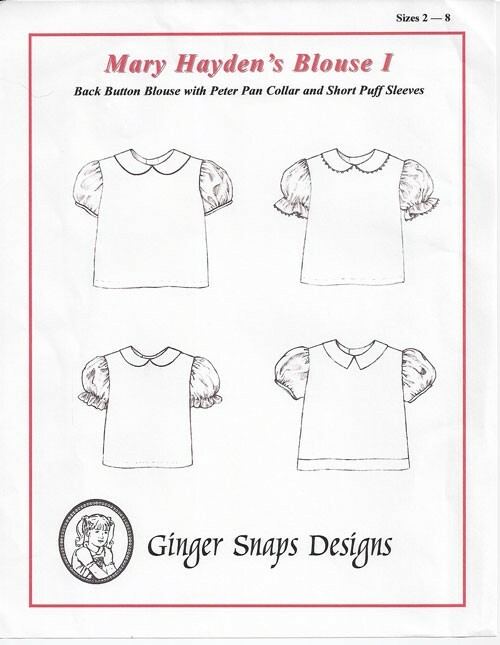 Back button blouse w/Peter Pan collar & short puff sleeves. 2 collar variations, 3 sleeve variations, yardage for rick-rack trim included. Designed to be worn w/jumpers, skirts, pants & shorts.